The ketogenic diet was developed in the 1920’s as a medical approach for reducing seizures in cases of pediatric epilepsy. Although we didn’t fully understand the mechanisms on how this worked, it was understood that elevated levels of ketones in the blood correlated with a significant decrease in epileptic episodes. Since then, we have come understand deeper ways in which a ketogenic diet improves brain function. The ketogenic diet remerged in recent years when people realized they would have more energy and elevated mental acuity when following it. After years of sideways science claiming that the body must have a constant intake of carbohydrate to be healthy, people are discovering the truth. On top of improved mental performance, the ketogenic diet is now being highlighted as a therapeutic strategy for mental illness and neurodegenerative diseases. Here I am going to break down the benefits and applications of the ketogenic diet for brain-related disorders and just how it improves brain health. Before we get into it, it is important to understand what exactly a ketogenic diet is. If your goal is to employ the ketogenic diet as a healing strategy, it is important to be scientific to improve your chances of success. 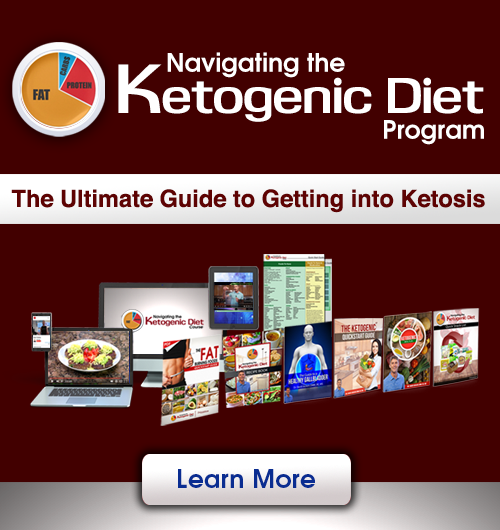 Many people think that a ketogenic diet is simply a high-fat, low-carb diet. While this is true, it does not provide the whole picture. The goal of the ketogenic diet is to drop blood sugar so low that the body resorts to fats for energy instead. This means if you eat too many carbs or too little fat, you may not fully shift into ketosis. Consuming too much protein can also prevent a shift into ketosis as excess amino acids are converted into glucose. Everyone reacts a little differently and so I usually recommend measuring your blood sugar and ketone levels throughout the process. This way you can pinpoint what levels of fat, carbs, and proteins your body thrives on. For more information on this, check out my top tips when following a ketogenic diet. There are several clinical applications for a ketogenic diet. Before jumping into these, I highly recommend reading about and understanding what happens inside the body when you are burning ketones instead of sugar as your primary source of energy. Among these areas is the brain. By improving the number and energetic output of the mitochondria in your brain, you provide a significantly higher amount of energy. This in of itself, may provide much of the brain boosting benefits (1). Fasting and a ketogenic diet are some of the most promising methods for upregulating mitochondrial biogenesis. It is thought that fasting or a fasting-mimicking diet (such as a ketogenic diet) have potential for improving neurodegenerative disorders by upregulating BDNF (3). 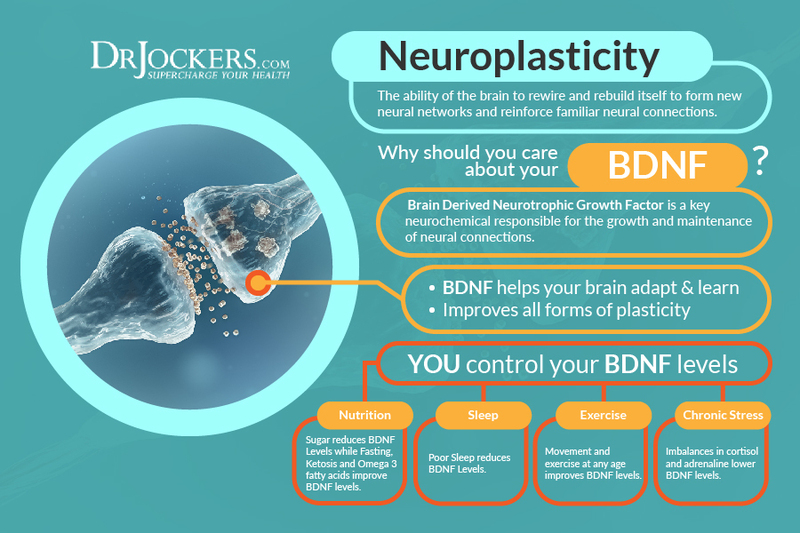 This upregulation of BDNF practically combats neurodegeneration in a way by supporting the continued growth and development of neuronal connections. This pattern of blood sugar imbalance is highly damaging to the brain which can be clearly observed in cases of congenital hyperinsulinism. A ketogenic diet has been shown to improve insulin signaling and lower the side effects associated with this rollercoaster blood sugar pattern (4). Also, because your brain is so reliant on healthy mitochondria, it is the first to suffer consequences of excess oxidative stress. Oxidative stress is a natural byproduct of energy production in the mitochondria. Ketone metabolism has been shown to create much lower levels of oxidative stress in comparison to glucose metabolism, effectively lowering inflammation and supporting mitochondrial health (5). Ultimately, this results in improved energy production. Neurodegenerative disorders that are characterized by demyelination, such as multiple sclerosis, are thought to be heavily influenced by chronic inflammation, making the ketogenic diet a desirable therapy for yet another reason. An imbalance in these neurotransmitters, which often manifests as an excess of glutamate, has been associated with brain disorders such as autism, Lou Gehrig’s, Amyotrophic Lateral Sclerosis (ALS), epilepsy, and mood disorders. Additionally, those with excess glutamate and low GABA levels will tend to feel anxious, have trouble sleeping and experience brain fog. Chronically elevated glutamate is highly inflammatory as it continuously overstimulates brain cells. In a healthy person, excess glutamate should be converted into GABA to help balance neural processes. 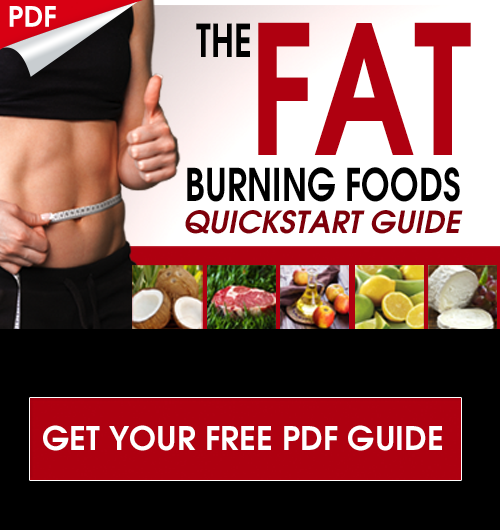 Following a ketogenic diet has been shown to help facilitate this conversion (6). The immediate effects of this are improved focus and lower levels of stress and anxiety. Omega-6 fatty acids are utilized in the eicosanoid pathway in the body which is important for producing inflammation. While temporary inflammation is helpful for stimulating healing in the body, an excessive omega-6 level can contribute to chronic inflammation that only causes more problems. The way I teach a ketogenic diet includes plenty of HEALTHY fats that help bring this ratio back to a balanced level and help lower inflammation. 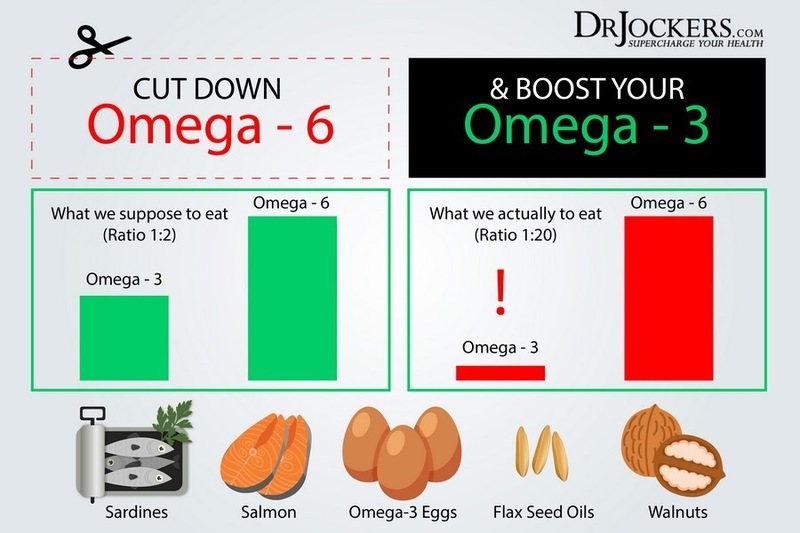 Increasing your ratio of omega-3 to omega-6 fatty acids can lower heart disease risk, improve arthritis, lower cancer risk, and improve brain function (7). Now that we understand what goes on in the body when burning fat for fuel, we can start to discuss how a ketogenic diet may be used as a therapy for the sick. The ketogenic diet was originally designed to help lower the instance of seizures in epileptic children so it is not news that it is still helpful for this today. Although the exact mechanisms on how this works are not understood, a ketogenic diet or prolonged fasting have been shown to lower the frequency and severity of seizures in children. In fact, one study found that out of a group of children that responded to a ketogenic diet, one third of them had a 90% or greater decrease in seizures (8). These benefits can also be derived by simply increasing ketone levels in the body through exogenous sources such as MCT oils and possibly exogenous ketones (9). Alzheimer’s is a neurodegenerative disease that results in the cells of the brain becoming insulin resistant. It is believed that once brain cells become insulin resistant, they become highly inflamed due to a lack of energy. People in this state will typically experience a rapid decline in memory formation and retention. Additionally, many Alzheimer’s sufferers have characteristics of hyper-excitability in the brain which may be due to excessive glutamate. Ketones do not require insulin to enter the cell and a majority of brain cells have the ability to metabolize ketones. It is because of this that the ketogenic diet has become a potential therapy for helping to combat Alzheimer’s. A study of 152 humans with Alzheimer’s saw significant improvements in brain function after ketone levels were raised during 90 days of MCT oil supplementation (10). Additionally, several animal studies have demonstrated a similar effect by implementing a ketogenic diet. While we don’t fully understand the mechanisms behind Parkinson’s disease, it has been studied as an energetic disorder. What I mean by this is that mitochondrial dysfunction and inhibited ability to produce energy is often a characteristic in Parkinson’s patients. This metabolic insufficiency puts brain cells at an energetic disadvantage that results in massive production of free radicals. 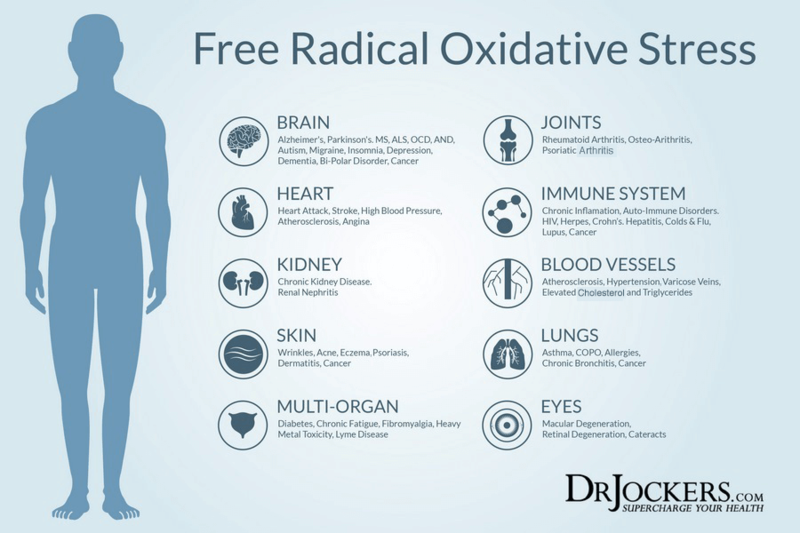 These free radicals cause oxidative stress, which leads to chronic inflammation and damage to the brain tissue. Because of the ketogenic diet’s ability to improve mitochondrial function and lower inflammation, it is being investigated as a potential treatment. Consequently, A small and uncontrolled study from 2005 monitored a group of Parkinson’s patients who followed a ketogenic diet for 28-days. At the end of the study, all patients reported an improvement in symptoms ranging from mild to drastic (11). Although this is not sufficient evidence to declare the ketogenic diet a treatment, the low risk for complications should make it a consideration in these cases. Chronic migraines and headaches are common in today’s society. Many believe that chronic inflammation may be at the root cause of these unpleasant sensations. Consequently, a ketogenic diet has been shown to lower the frequency and severity of migraines and headaches, potentially by upregulating energy production and lowering inflammation in the brain (12). Depression is another mental state that is all too common in our society. While there are emotional factors involved, it can also be a byproduct of neural inflammation, mitochondrial dysfunction, neurotoxicity, or glutamate/GABA imbalance. Many people report a huge boost in their mood when following a ketogenic diet. It is likely that this occurs due to a mitigation of every one of the factors mentioned above. Although a ketogenic diet cannot change emotional trauma, it can help calm and clear your mind to help give you a better chance to do so. Beta-Hydroxybutyrate (BHB), a ketone body that is produced when following a ketogenic diet has demonstrated anti-inflammatory properties in brain tissues. A 2017 study observed in rats that BHB helped to mitigate stress-induced inflammation in the brain and exhibited anti-depressant activity (13). 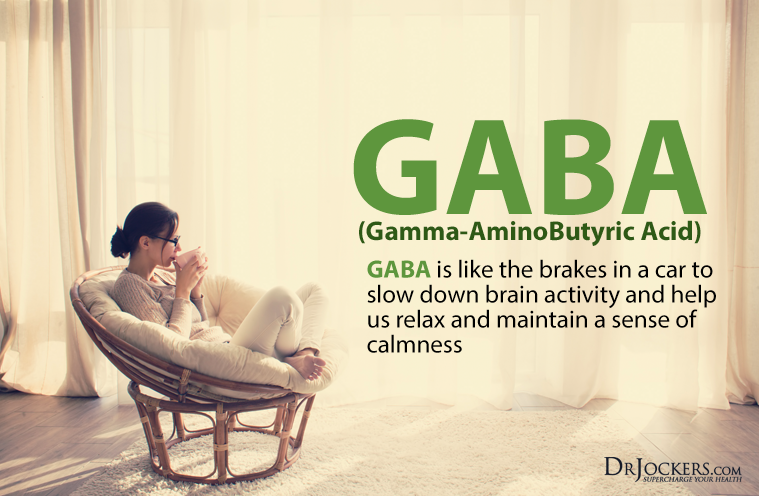 As I mentioned earlier in this article, glutamate GABA balance in the brain strongly dictates our ability to balance work and relaxation. If glutamate becomes dominant over GABA, anxiety is commonly reported. Following a ketogenic diet may improve anxiety by helping support the conversion of excess glutamate into GABA. This is another key way that keto improves brain health. Traumatic brain injuries (TBI), such as concussions can have long lasting negative effects on cognitive function. Chronically elevated blood sugar has been identified as detrimental to recovery from TBI. There is also often an impaired ability to utilize glucose in TBI brain cells. Providing the brain with ketones during this time has been shown to give the brain energy while improving structure and functionality during the recovery process (14). This is another key way the ketogenic diet improves brain function. The ketogenic diet has reemerged as a performance boosting hack for those wanting to be more productive. At the same time, it is emerging as a powerful healing strategy for metabolic, neurodegenerative, and cancerous states in the body. Additionally, following a ketogenic diet is remarkably safe for most people to implement and improves brain function in a number of ways. So, whether you are battling a brain-related health challenge or just want to improve your mood and focus, a ketogenic diet may be a key component of your healing journey. Unfortunately not Cathy. You could purchase access to the entire summit or there is a chance that there will be a replay day when the summit is complete that you can go back and watch, not sure about this though. Please give us a simple way of actually starting this Ketogenic diet, don’t just keep telling us what it does, and how good it is for that and etc. Good, I am convinced that we would all feel better and think clearer etc; but let’s get down to brass facts: what does a simple ketogentic diet look like????? give us one week example for a modest income. we would all be very grateful to finally get an answer. thank you. Dr. Jockers, Thank you as always! Nice article, and I definitely see your points. However, are there any long-term studies on the effects of a ketogenic diet? So far, I haven’t found anything along these lines. I think that many of the benefits associated with keto can also be accomplished by eating minimally processed whole foods including more than keto-levels of carbohydrates while fasting intermittently. Am I wrong? I also think that some people are using different qualitative and quantitative definitions of the term ‘ketogenic diet’. And some might actually get into a lot of trouble just eating high fat if they cut out plants with their phytonutrients and fiber to a too great degree and for too long. The fat they consume may be of inferior quality as well. Hey Heidi, yes there is a lot of healing potential with the ketogenic diet. I do agree that it is a good idea to focus on high quality, nutrient dense sources including healthy fats and non-starchy veggies, herbs and things like lemons and limes. Read this and want to continue with this. I’m interested in the brain function improvement. Just had a 14 yr anniversary from brain surgery and think kept could help brain function better. Would be interested in study with cognitive tests before and after. I’m 57 yr young. Very good article, I think my diet could be considered almost a keto diet. I do eat a lot of fruit and tree nuts, however. I eat tons of berries. I’ve discovered that Black Seed Oil helps my joint issues and my pea brain doesn’t rattle anymore. I used to suffer from BAD headaches, but I got a mini trampoline and I rebound for about ten minutes, no more headache. I wonder who does the wonderful graphics in your articles? Thanks for all the info, you are a generous teacher! Thanks so much Nora!! Yes, our design team is excellent and we will pass on your compliments! Blessings! I suffer from most symptoms of leaky gut such as difficulty: concentrating, learning new things, remembering old things, applying concepts. I also suffer from achy muscles, achy joints and an overwhelming chronic fatigue. I also suffer from rocesea and eczema. The worst is the ongoing mild depression, moderate anxiety and irritability. After most meals, my stomach feels bloated with a dull achiness that lasts for hours. For several years I have endured all these symptoms but the last couple of years everything has intensified. I am 48 years old and have sought medical help in the last couple of years but all testing yields little to no serious results to justify my symptoms. I have been 55 – 65 pounds overweight most of my adult life. I do fast occasionally for 1-3 days water only for religious purposes and feel temporary relief from most digestive issues. I am considering starting a lifestyle change where I eat the keto way to loose weight but need to tweak it to where I also heal the intestinal permeability issues. Can you recommend a way to fuse both? I will gladly pay your consultation fee and for your program. Thank you for all you do for me and the countless others you have and will continue to help along the way. Dye test, which was the only culture method that could detect the spirochete at the time. did not bend at the knee or ankle, and I couldn’t walk. Fasting and borax saved my life. kind of magic in the human body. Borax has been an accepted natural remedy for arthritis for a very long time, conventional doctors don’t know about it, you need a certified nutritionist like Dr. Jockers. Atomic Iodine completely reversed my brain fog. I now you’ll find your solution, you’re looking in the right place. Thanks for sharing this Nora! !